Product prices and availability are accurate as of 2019-04-20 19:06:13 BST and are subject to change. Any price and availability information displayed on http://www.amazon.co.uk/ at the time of purchase will apply to the purchase of this product. 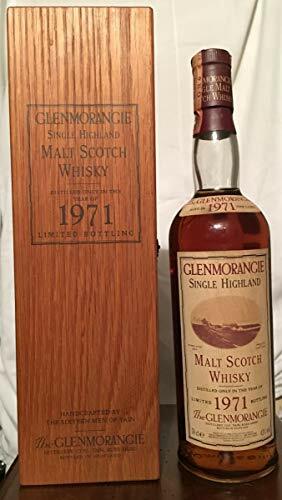 This whiskey is very sought after, it was distilled in 1971 at Glenmorangie and aged in American oak barrels, it was bottled in 1993 to celebrate the 150th anniversary of the official opening of the Glenmorangie Distillery in 1843. It is presented in an elegant wooden case and it is one of the best distillery releases. Alcohol content: 43% vol. Bottle in excellent condition.